Event Highlights: The Ivy Tech Community College Odyssey event was held at Tippecanoe Mall where Ivy Tech volunteer students, automotive and sustainable energy staff, and employees from participating businesses where available throughout the day to answer questions as guests visited the display area in the Community Commons. Vehicles on display included the new Chevrolet Volt, Toyota Prius, BMW electric car, Ford propane truck, PHEV Prius conversion vehicle, racing Electric Go-Kart, and a Chevrolet S-10 electric conversion truck built by the students from Ivy Tech Automotive Department. Solar, wind and geo thermal displays from the Sustainable Energy Program where available for participants to view. Kohl’s Community Court at the Tippecanoe Mall on Friday, October 11th. by the Greater Indiana Clean Cities Coalition. Plug in Supply Inc. and E-V Conversion Vehicles. Consortium and the U.S. Department of Energy’s Clean Cities Program. office at (765) 269-5229, or visit ivytech.edu. Commission and a member of the North Central Association. 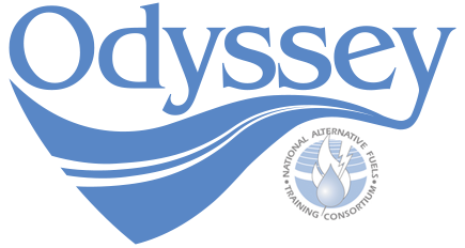 Ivy Tech’s Odyssey event will include demonstrations and displays.